On behalf of the California Water Foundation, Luhdorff & Scalmanini Consulting Engineers (LSCE), in conjunction with James W. Borchers and Michael Carpenter, prepared a comprehensive report focusing on the escalating occurrence and severity of land subsidence due to groundwater pumping in California. 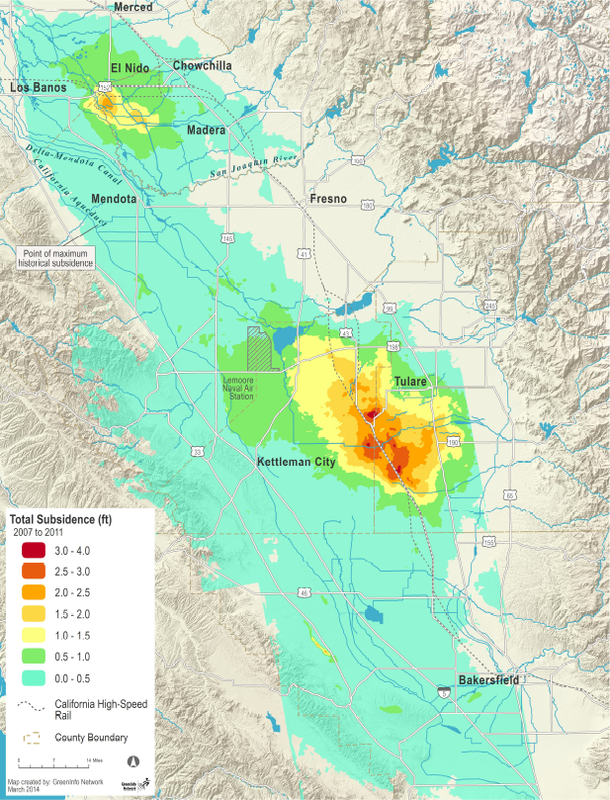 The report, Land Subsidence from Groundwater Use in California, provides key examples of significant and far-reaching impacts of subsidence and includes recommendations to avoid those impacts. 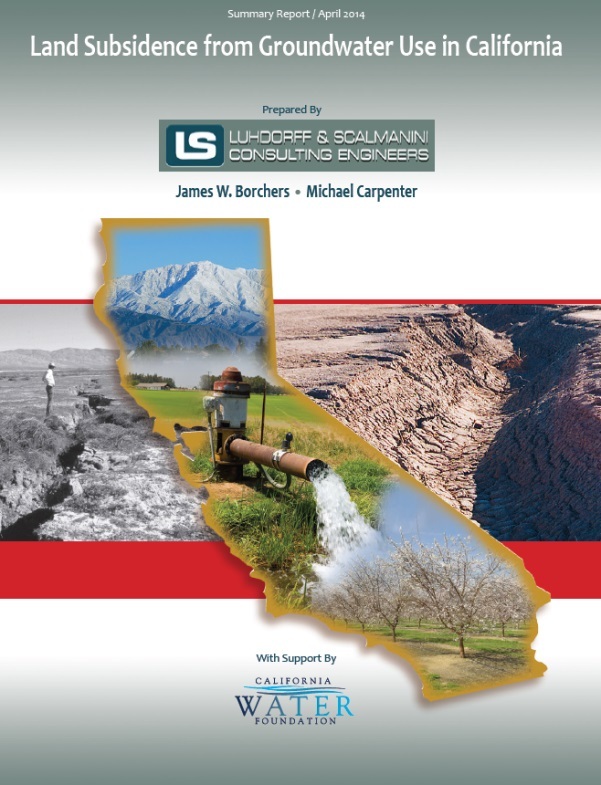 This report provides an analysis and examples from throughout California where groundwater pumping and land subsidence have been particularly significant. The report describes the lack of a state and federal agency program in California to monitor subsidence, indicates that without it there will continue to be unforeseen economic and environmental costs and disruptions for the State, and includes recommendations for improving subsidence monitoring and assessment. 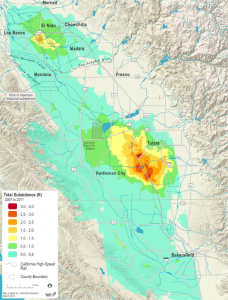 The California Department of Water Resources has posted a summary version and also a comprehensive full version of the report on DWR’s new Land Subsidence Monitoring page at http://www.water.ca.gov/groundwater/landsubsidence/LSmonitoring.cfm.